As with most car publications this week, we’ve experienced a bit of a Geneva Motor Show takeover. Now the news from the show is starting to tail off, though, allow us to present you with a nice antidote to the onslaught of new car reveals: a man ranting for 25 and a half minutes about a Mercedes minivan. OK, that doesn’t sound all that appealing on the face of it, but before you close this window, stick with us. 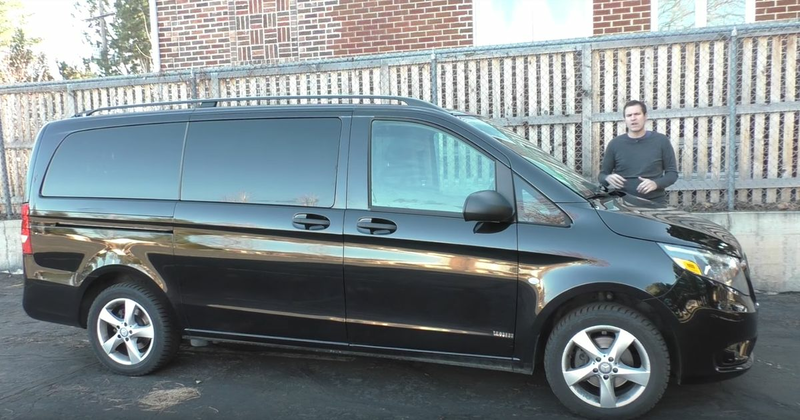 The man in question is the incredibly meticulous Doug DeMuro, and there’s something quite interesting about his in-depth takedown of everything that’s not quite right with the Metris - the North American market-version of the Vito minivan. From the bizarre seating issues to the sat nav which looks like it’s from 10 years ago, there’s a lot to cover. Well, sweetie, it’s nice that Mercedes-Benz marketing has convinced you of this — but it’s the same size as a [Toyota] Sienna/[Honda] Odyssey, with the same price as a Sienna/Odyssey, and the same scope as a Sienna/Odyssey. If I were buying a “commercial shuttle van,” I’d literally fall over laughing at the Metris … annnnnd then I’d buy a Sienna/Odyssey. Which is what everyone does anyway.